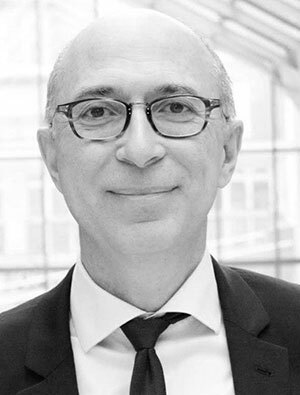 A financial expert and auditor with a doctorate in management science, Yves is a director of the French National Chamber of Financial Advisers (CNCEF). He has advised on numerous corporate mergers, particularly those with an international dimension, both in international consultancies and with his own firm. Trained in mediation and arbitration at the Centre for Mediation and Arbitration of Paris (CMAP), and accredited by CMAP as a mediator, Yves is also listed as a mediator on the List of Neutrals of the World Intellectual Property Organization (WIPO) Arbitration and Mediation Center. He acts as an arbitrator under the auspices of the French Association for Arbitration (AFA). Yves is a mediator accredited by the Court of Appeal of Paris. He is accredited as an expert by the French Institute of International Legal Experts, and is Vice-President of the Option-Initiatives think tank. He is a member of, and insured by, the French professional experts’ body, Compagnie Nationale des Experts MCTH.